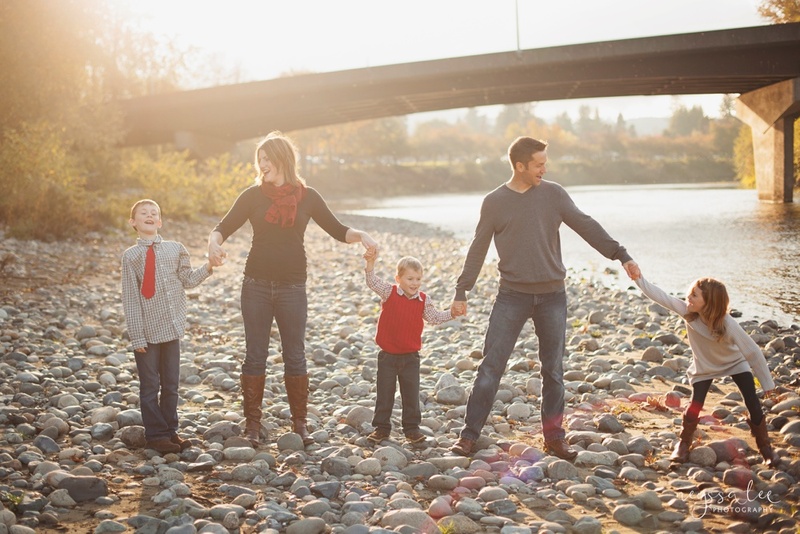 We did a lot more then just dancing in the sunshine at this family photo session. There was rockets, rock skipping, and snuggles with mom. And did I mention the gorgeous light that surrounded this beautiful family as they were dancing in the sunshine?! I love when clients bring favorite details for their kids. This young man loves rockets, what a perfect way to remember this stage! I'm not sure who had more fun skipping rocks, the kids or dad. Isn't that so fun?! The kids sat down with mom for a few pictures. Which one do you like best? My favorite might have to be the black and white with the kids all snuggled in moms arms. It's always those in-between moments that are my favorite. I was taking a few pictures of just mom and dad, of course these two couldn't help but join in the fun. We can't forget about dad and the kids. But let's not do traditional. Dad decided to grab their attention with building a tall rock pile. I think he did the trick. Such a beautiful family. Thanks for spending time at the river with me!